The European Commission and the European Parliament could play a role in overcoming the current crisis involving Qatar, especially since the USA is not in a good shape to play this role, writes Dr Ahmed Al Hamli. There is an opportunity for the institutions of Europe to step in and take a more direct role in the matter. European cooperation is built on the foundations of ideological and political differences. The region has been successful in building institutions that instil confidence and cooperation among states. Europe needs to bring these experiences to the Gulf to support global security. Qatar has tended to forge its own path in international affairs. This is, of course, acceptable, but to act contrary to the global regime for fighting terrorism and extremism, is not. From 2000, the Security Council has been building the sanctions regime that is designed to end support, funding, or interaction with the main terrorist groups and individuals threatening international security. Under the Security Council sanctions regime, it is obligatory for all UN states to take action and cooperate in addressing terrorism. The Emir of Qatar publicly stated that he will determine who is a terrorist and would not follow terrorist designations being undertaken by others. Qatar has been saying there is no evidence of it supporting terrorism, or terrorists operating in its territory. This is hard to comprehend as the Security Council publicly posts information on designated terrorists and the current lists include individuals in Qatar. Interpol follows this up for the purpose of mutual legal assistance. 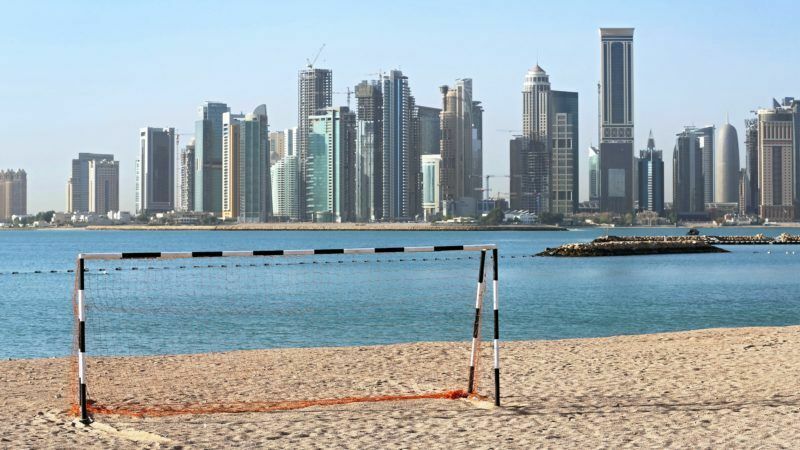 Qatari nationals, and others, living in Doha are included in the publicly accessible Security Council and Interpol databases. Journalists have been reporting on the extensive presence of known terrorists living in Qatar, or operating in Qatar trying to raise funds. This situation has been persistent since 2003, when Qatar brought Taliban and Al Qaeda leaders to Doha. The Gulf region needs such input and needs it strongly. This could be in the form of the Commission taking a diplomatic lead in addressing concerns and sharing good practice. The European Parliament could play a role in monitoring and overseeing, including practical advice on how to negotiate through conflicting views. At present the USA is leading on efforts to resolve the dispute with Qatar. Given the inconsistencies of US foreign policy, the extent to which these efforts will have a long-term benefit is unclear. The current situation in the Gulf needs advice and support from the European experience. For Europe, the threat of terrorism and extremism is very real. There have been almost twenty terrorist attacks in Europe from the start of 2016. Europe has taken a direct role in global efforts to end terrorism and the threat from extremism. Europe needs to bring its experience and reputation to the Gulf crisis for the benefit of global security. This will be the only way to address the immediate problems, and for providing long term confidence in the Gulf region, and globally, for working together in addressing terrorism and extremism. Europe needs to bring its experience and reputation to the Gulf crisis for the benefit of global security. This will be the only way to address the immediate problems, provide long-term confidence in the Gulf region, and work together globally in addressing terrorism and extremism.